A PRESSPROBE™ TEST provides a quick, simple and accurate in-house procedure for checking for "high" and "low" pressure zones due to (1) press platen misalignments or (2) the design configuration (pads, high density circuitry, ground planes, etc.) 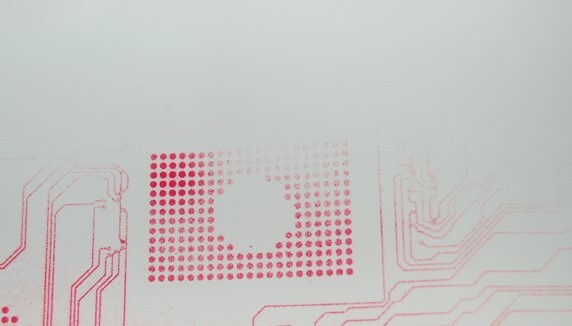 of the circuit board itself. 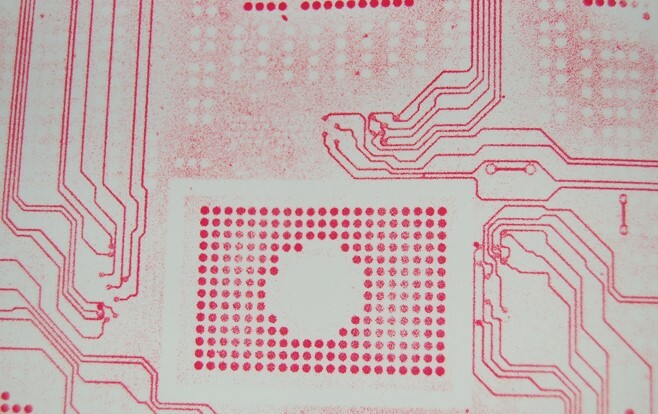 Pressures, distributed unevenly, can lead to circuit board manufacturing problems and rejects. Implementation of a PRESSPROBE™ Test will help the laminator view potential pressure-related laminating problems even before they occur. A PRESSPROBE™ Pressure Testing Kit contains two separate rolls of testing film. 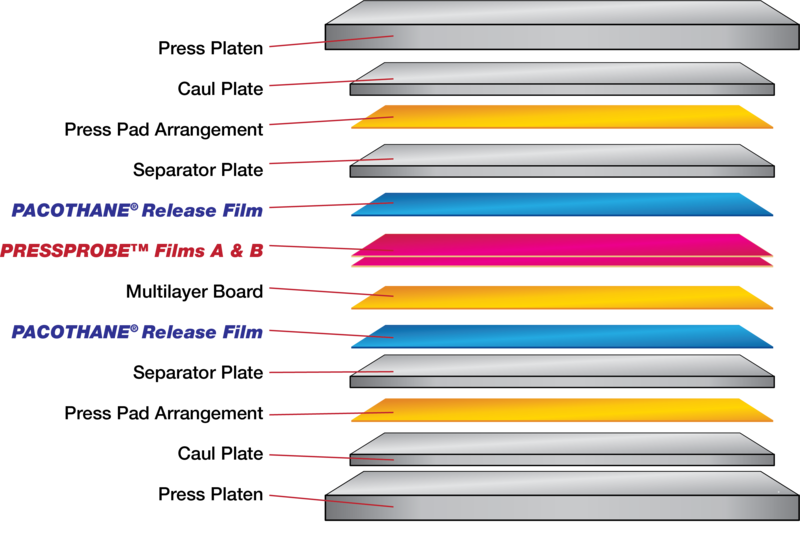 These pressure-sensitive films react together to convert pressure into a measurable color hue or density and provide a graphic representation or "picture" of both the distribution and amount of pressure across the area being tested. PRESSPROBE™ is available as a boxed kit 10.5" wide x 66' long. The complete line of Pacothane Technologies products is available from leading local Distributors Worldwide who offer "Just in Time" delivery from locally–available stocks. The varying degrees of pink intensity shows the impact of high and low pressure equalization as a result of the compression value of the presspad being used. The soft make-up optimizes the inefficiencies of the lack of z-axis pressure distribution that can happen in a hard make up.